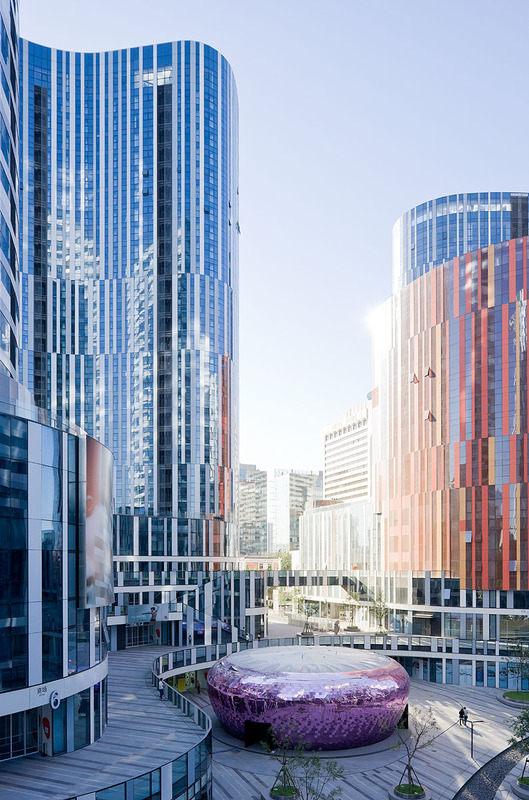 To provide inspiration for the BARGE 2011 Competition, here are some fantastic examples of sensory design and some of the more recent installations. As the name suggests, sensory design installations are meant to engage all of the senses. The popularity of sensory design is steadily growing due to its interactive nature. Installations can be found in schools, hospitals, parks, and museums. Each exhibit tempts its audience to engage in the design. The installations create interest in themselves in a variety of different ways such as, incorporating tactile objects that make sounds when touched or by visually changing shapes when a loud noise is made. 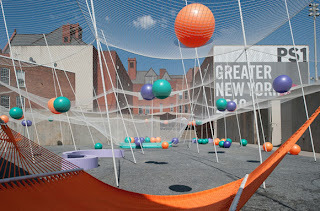 The winner of 2010’s MOMA’s PS1 Young Architect program, SO-IL , created an urban landscape outside of MOMA’s PS1 Courtyard. 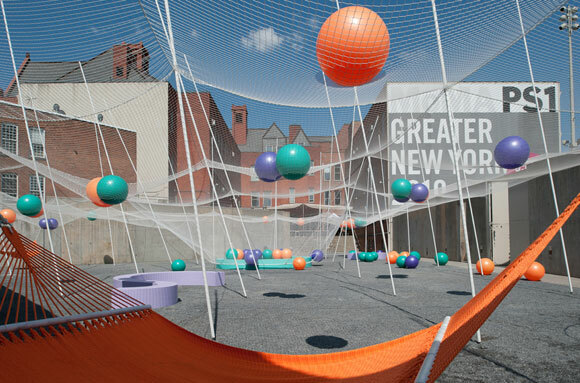 Their creation, entitled Pole Dance, consisted of a series of poles and nets constructed in a 12 x 12 grid. The poles were attached to bungee cords and swung and moved with human and environmental touches. The nets, which the poles hung up acted as see through roof, brightly colored balls, hammocks, and even rain collecting plants could all be interacted with. 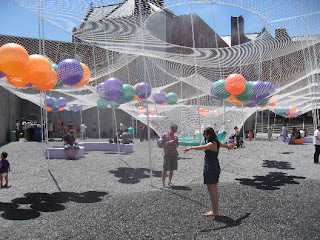 As the poles moved and nets moved, audio speakers were activated thus engaging the sense of sound for the visitor. 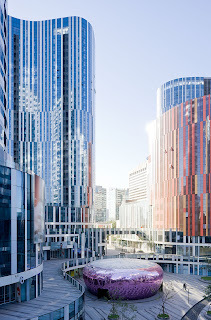 The architectural team of SO-IL is not new to sensory design installations. Founders, Florian Idanburg and Jiang Liu also created Flockr for the 2010 Get It Louder festival in Beijing and Shanghai. 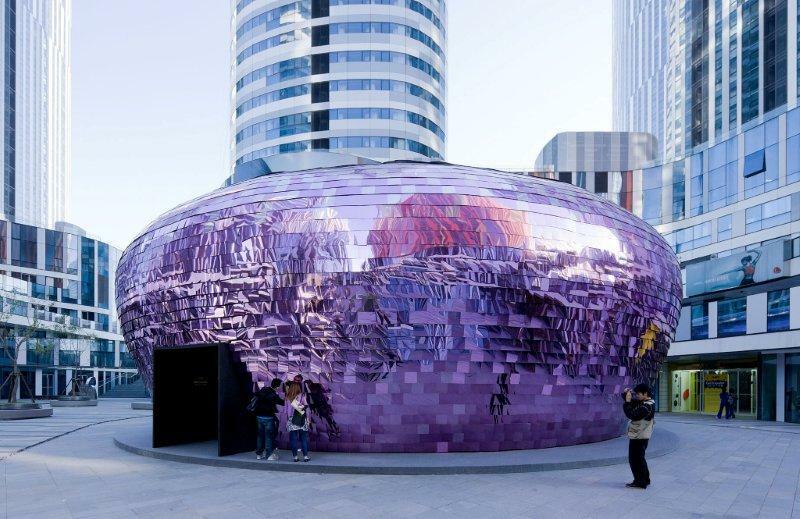 The Flockr structure was created out of flexible mirrored squares that moved with the wind or by human touch, creating a fluid and reflective dome like object that reacted to its urban surroundings. Haque Design and Research also specializes in interactive architecture and design. Like SO-IL, Haque has produced sensory installations all over the world. One of their more recent projects, entitled Primal Source, was installed in Santa Monica, CA. Primal Source was a large, outdoor projection screen made out of water mist. The continual spray of water was back light by an array of bright colors. The colored lights changed patterns as different sounds emerged from the audience. The more noise that was made by the crowd, the more diverse and dynamic the color patterns became. Eight microphones set up near the front of the installation would occasionally hear voices of audience members. For each new voice that the microphones heard, a different color pattern was splashed over the continual mist. We certainly hope this will activate your imagination and we look forward to seeing what YOU come up with for the BARGE 2011 Design Competition. This is some good stuff. Very informative and well written. Definitely peaked my interest and will try to attend the BARGE 2011 Competition.